For people with Arthritis, the best way to keep your hands and fingers flexible is to exercise them as you would any other part of your body. The Rehab Exercise Ball will provide a flexibility strengthening exercise that you can do at home, anytime, even watching television. 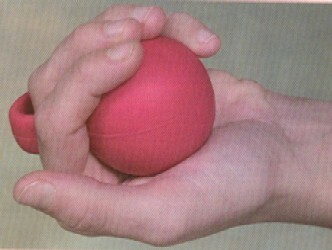 Compressing and opening your fingers around the rehab ball will help reduce stiffness and keep your joints flexible. The Rehab Exercise Ball comes in two distinct densities; soft or firm. Choose soft if you are just beginning exercising or if you have weak fingers. Choose the firm density if you have been exercising your fingers with a rehab ball for some time. 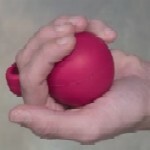 This rehab ball comes with a finger loop to keep the ball in the palm of your hand easily. The balls are made of vinyl.